US and Swedish officials have formalized an agreement for purchase of Lockheed Martin’s Patriot Advanced Capability-3 (PAC-3) Missile Segment Enhancement (MSE) missiles by Sweden. On formal contract signature, Sweden will become the sixth international customer to sign an agreement to procure PAC-3 MSE. The US, Qatar, Japan, Romania, Poland and the United Arab Emirates are the other countries to have procured PAC-3 MSE systems. 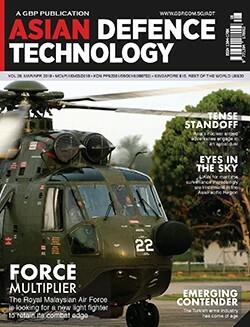 “Today’s global security environment demands reliable Hit-to-Kill technology and innovative solutions. PAC-3 MSE interceptors will provide Sweden with a formidable layer of defence,” said Jay Pitman, vice president of PAC-3 at Lockheed Martin Missiles and Fire Control. The upgraded PAC-3 MSE features a dual-pulse solid rocket motor, providing increased performance in altitude and range thus expanding the lethal battlespace. The PAC-3 MSE missile uses Hit-to-Kill technology, which engages threats through kinetic energy via body-to-body contact.